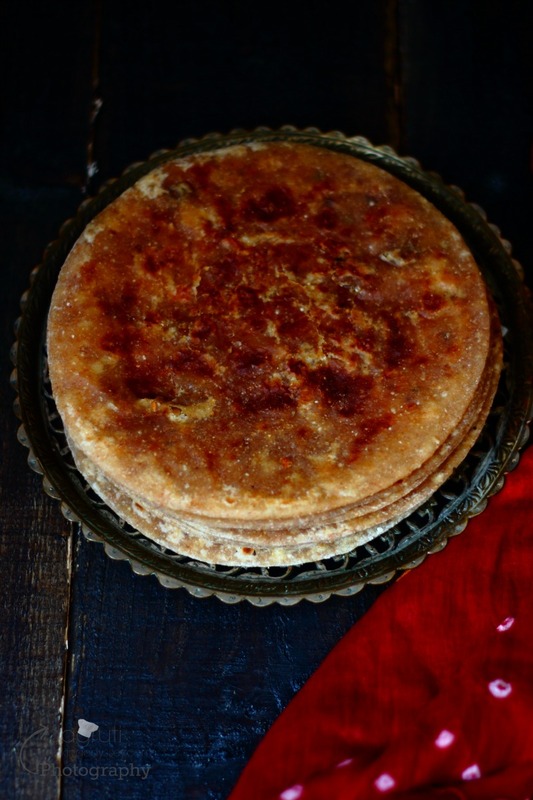 These Delicious and irresistible Mixed Dry Fruit and Nuts Vedhmi-Puran Poli - (Indian flatbread Stuffed with sweet lentil, dry fruit and nuts) a must try dish in your lifetime. Make on any happy occasion. Cook loads, these are lovely! Recently I had a chance to sort out my external hard drive, where I store my food pictures since I created this blog for more than 6 years ago. There are hundreds of recipes pictures, unfortunately, many couldn't make it to this blog, I am really disappointed in myself that I took so much effort in cooking those delicacies, took pictures and left those poor pics! 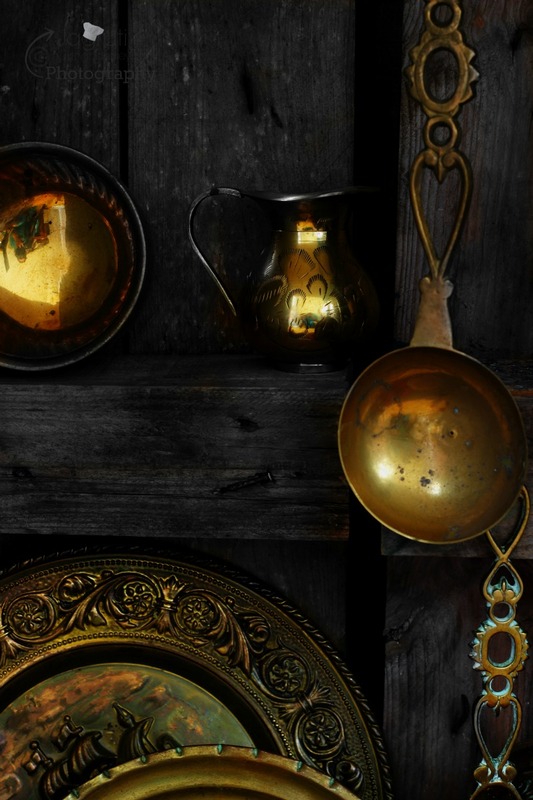 I really want to post those recipes here, but I have to admit that those pictures I took that time were not perfect or maybe won't have chance to appear, especially in current times as it seems we are in a race or a competition in search of good light, camera and angles..to click and post magnificent pics. Well, I can leave this rant about food blogging and food pictures for another day, there are so many recipe pictures in my archives which I have not used yet. So altogether I have about 400 plus pictures of around 46 recipes, that sadly couldn't make it on my blog, I am now thinking that I should remake those dishes that I did in the past and retake new photographs of those, One of the recipe pictures caught my eye and reminded me of something I made around six years ago and since not made it again , so here goes, once again I have chosen Vedhmi / Puran Poli. This was while I was looking at the old pics, I had an urge to have it and decided to make on the day of Makar Sankranti. 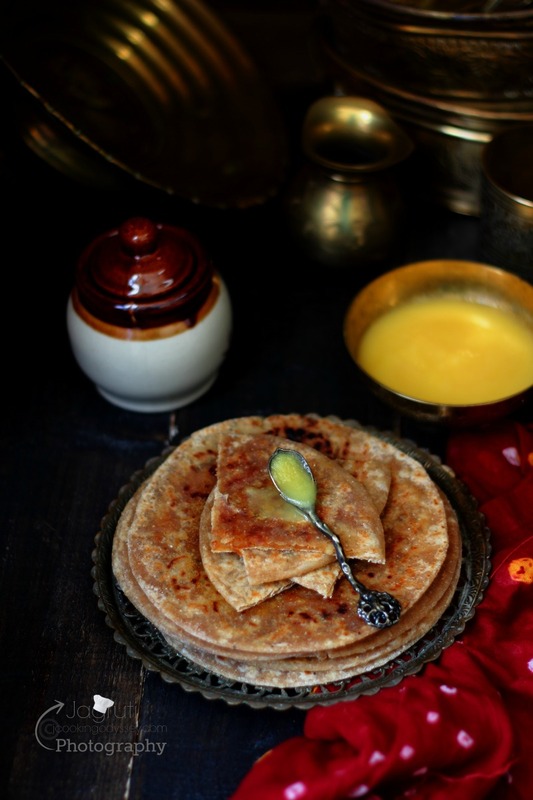 Vedhmi / Vedmi is a Gujarati word for Puran Poli (Indian flatbread Stuffed with sweet lentil filling) It's a very popular traditional dessert throughout India, served piping hot with a bowl of aromatic Ghee. 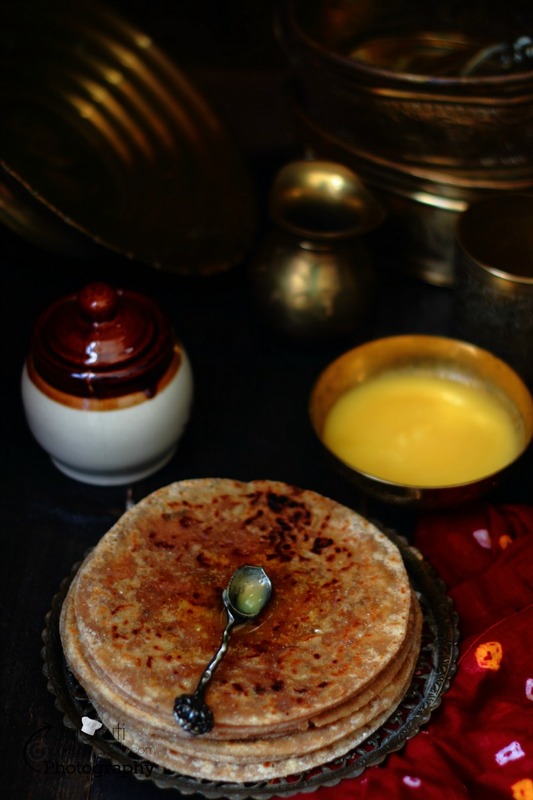 In Gujarat, this dessert called Vedhmi, simply because it's made with your fingertips by tapping the stuffed flatbread and in Gujarati fingertips means Vedha! 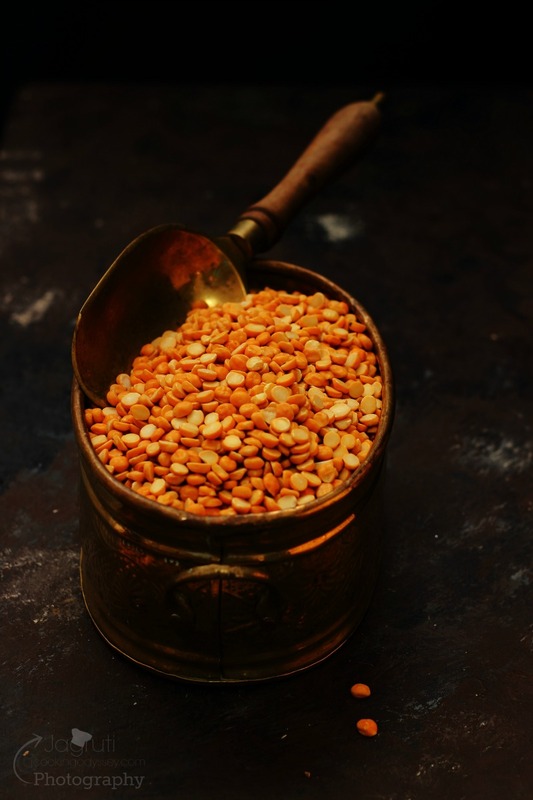 While in many other states of India Chana Daal ( Split Bengal gram daal ) being used to make the filling, in Gujrat mostly Toover daal ( Split pigeon pea ) and Jaggery or sugar are used, and these beautiful and aromatic flavours added by using Cardamom and Nutmeg. 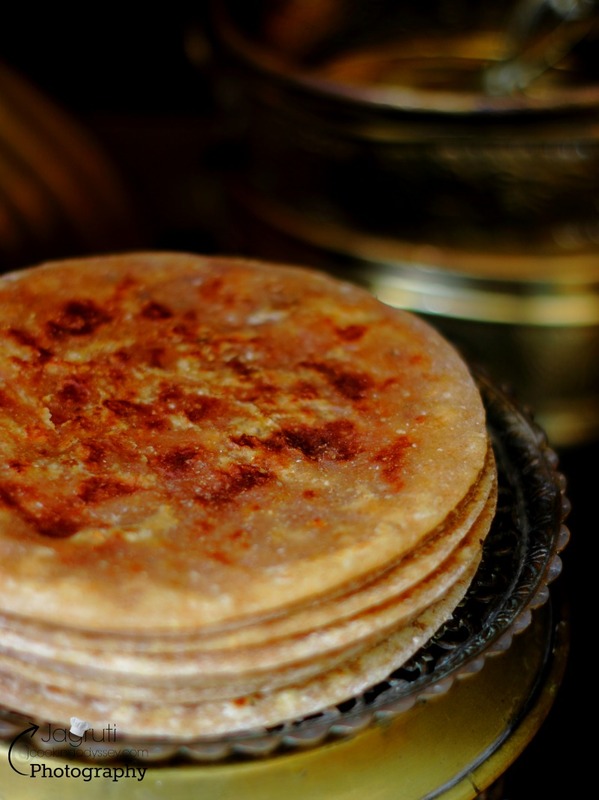 For the upper layer many people use Semolina and Plain flour to make flatbread crispy outside, but mostly I have seen Vedhmi made with Whole Wheat flour. 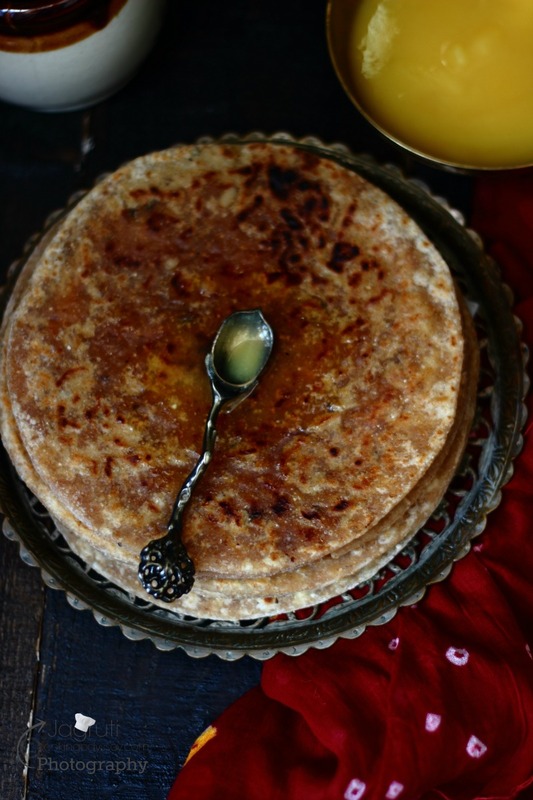 Vedhmi or Puran Poli is one of the tastiest and delicious desserts in Indian cuisine and without any doubt mine too. Mostly this dessert prepared during festivals and other occasions, but this is one particular dish I remember that my Mum used to make any time in the year, no special occasion needed, but as it goes for other treats in our house there had to be some special occasion like Birthdays or festivals. In Gujarat mostly Vedhmi served with Gujarati Kadhi, Peas Pulao, Patra, Valor-Ringna nu saak ( recipe coming soon ) and obviously a generous dose of pure golden Ghee, Oh it's heaven! Next morning once again we get chance to enjoy Vedhmi, but this time we would wash it down with Kesar Badam Milk . 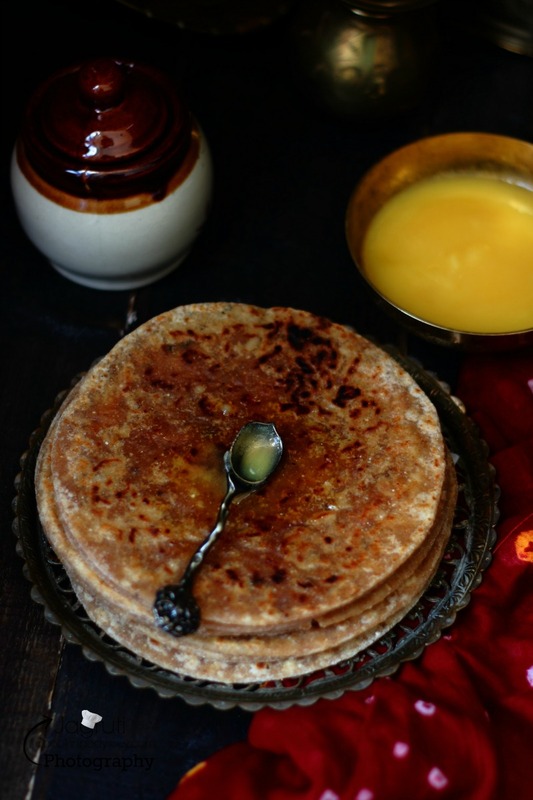 MAKING VEDHMI-PURAN POLI A TEDIOUS JOB? Many believe that the perfect preparation of Vedhmi / Puran Poli involves a high skilled task, I agree to a certain extent. Mostly you would be disappointed when filling oozes out of the dough and flatbread starts tearing. Also in the making Puran ( filling ) or in kneading the dough, but couple of things you can keep in your mind while preparing ( see method ) and obviously with some experience the job can be done. It's about trial and error:)! So, did I made traditional Vedhmi on Makar Sankranti? well yes and no, I had prepared and enjoyed Vedhmi, but this time once again 'Aadat se Majboor '( old habits die hard ) I ended up doing another experiment on my gunnies pigs ( family ) and made filling with both daal, dried fruits and Nuts to cut down the amount of sweetness, because dried fruit has it's own natural sugar and made it richer, nuttier and scrumptious. Because we enjoyed so much at home, couldn't resist making for daughter and lovely daddy drove all the way to give her..she enjoyed it so much as well. 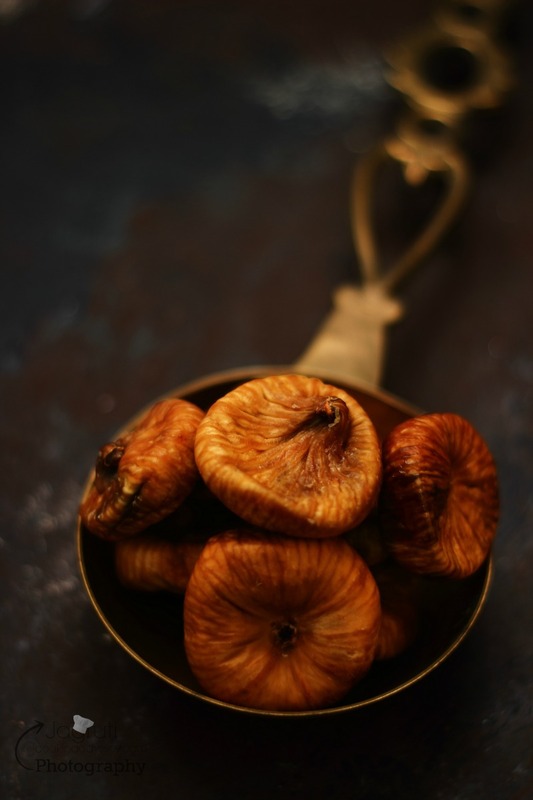 So if you are a crazy fan of Vedhmi / Puarn poli, but still love to try something different try this Dried fruit and nuts Vedhmi. I am sure you will have no complaints. 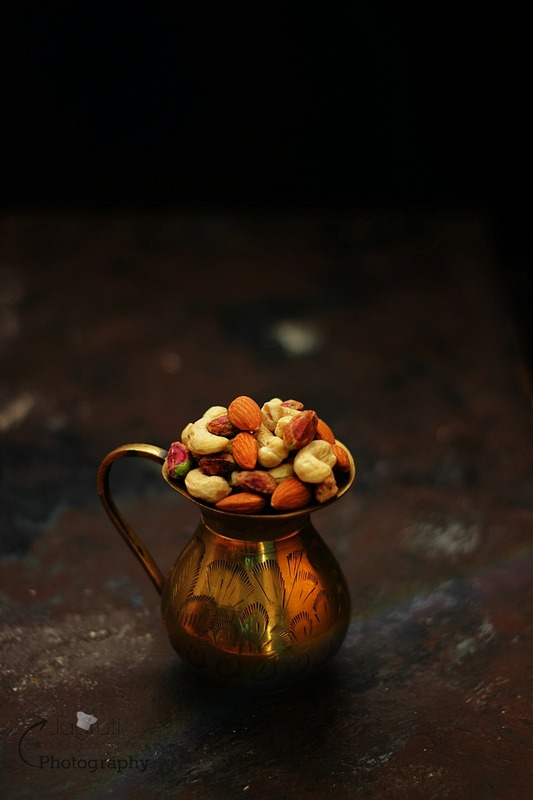 If you want to try Traditional Vedhmi recipes, just leave dried fruits and nuts out and make it original way ( No Dry fruit and nuts ) with the same methods. 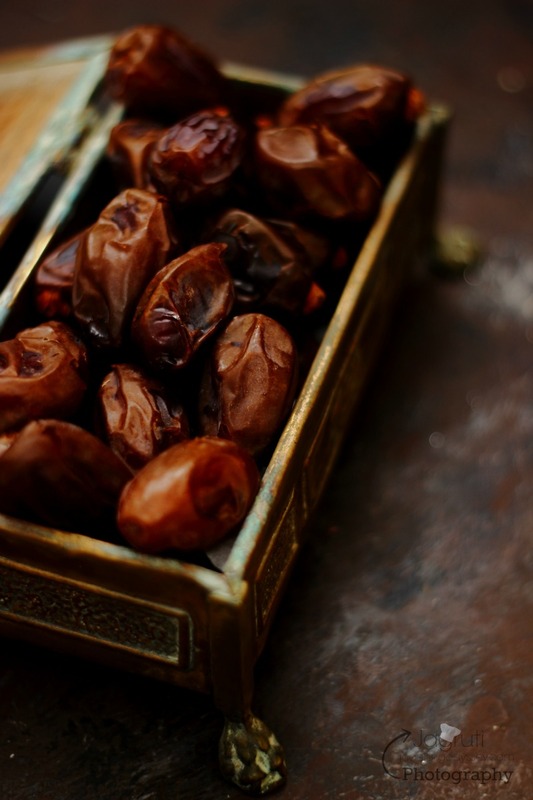 Once daal is cooked, grind daal, dried figs and dates in a food processor and make it in a smooth paste. Lightly roast mixed nuts and make a coarse powder. Transfer the cooked daal mixture in a heavy bottom pan, add sugar. Keep cooking the mixture on a low to medium heat and constantly keep stirring. Once all the moisture starts evaporating, add Khoya mixed nuts powder and keep stirring. Slowly mixture will keep getting thicker and stiff. ( time to perform a taste on the filling ). TAKE A SPOON, DIG INTO MIXTURE, IF SPOON STANDS ERECT IN THE MIXTURE WITHOUT FALLING DOWN, means filling is ready. Transfer the filling in a plate and let it cool completely. Longer the better. ( I prepare stuffing early in the morning and leave it to cool about 5-6 hours or sometimes prepare at night and leave it in the refrigerator whole night ). Place flour, salt in a plate and knead chapatti like dough, it should be pliable and soft. Cover the dough with a clean kitchen towel and leave it to rest for 20 minutes. Once you are ready to prepare Vedhmi, add 1/2 tsp oil in the kneaded dough and once again knead the dough for 2-3 minutes. Divide the dough and filling mixture into equal portions and make golf size balls. Start heating griddle or tava on low heat. Cook on the hot griddle on both side, apply Ghee on both side and roast the vedhmi till it's nice and brown on both sides. Apply Ghee generously on the Vedhmi and serve hot. 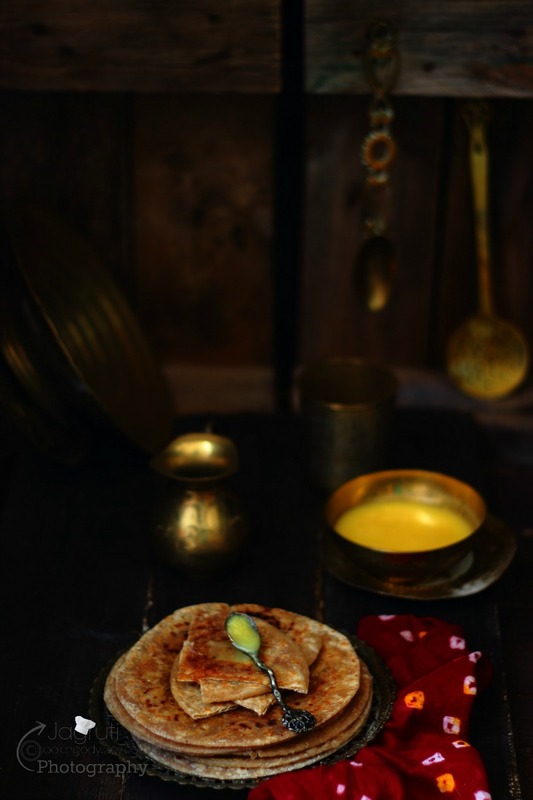 These Delicious and irresistible Mixed Dry Fruit and Nuts Vedhmi-Puran Poli, a must try in your lifetime. Make on any happy occasion. Cook loads, these are lovely! Cook on the hot griddle on both side, apply Ghee on both sides and roast the vedhmi till it's nice and brown on both sides.